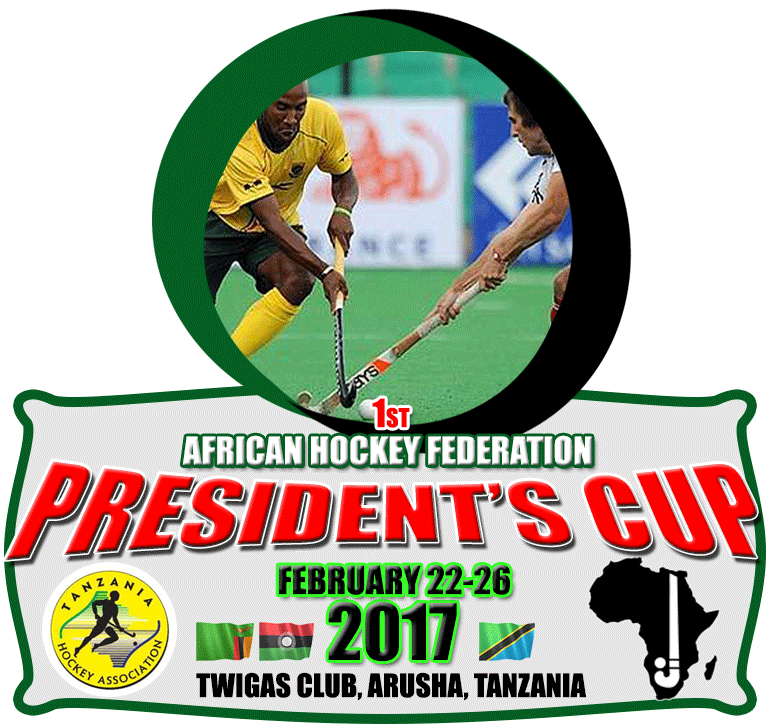 All is set for the Tanzania Hockey Association to host the first ever AfHF President’s Cup for both men and women at the Sikh Union Complex, formerly known as the Arusha Twigas Sport Club, in Arusha during the period February 22 to 26. The President’s Cup is a newly introduced competition by the AfHF and it is opened to all National Associations ranked below 7 in African Hockey according to the outdoor ranking published by the FIH. The winners of both categories will join the top 7 ranked African nations for the 2017 Edition of the AfHF Africa Cup for Nations Competition to be held in South Africa during the period August 18-27. The Local organizing Committee (LOC) has worked hard to ensure that preparations are on track to host the event which will bring together three (3) national teams made up of the hosts Tanzania, Zambia and Malawi. Tanzania Hockey has the experience in hosting international club competition, but this will be the first time it will host an international tournament at the continental level, and the LOC is confident that the decision to host the event in Arusha will further boost and promote the game in the region in particular and the country in general. Tanzania Hockey is relying on a syndication of sponsorship from various sources including corporate entities to organize this important event. The AfHF is particularly excited to have Malawi back in competition and vying for continental honors once again and is hopeful that the competition will trigger a wave of renewed interest and excitement towards hockey in National Associations in Eastern Africa. The Competition will be supervised by Ahmed Yousef of Egypt (Tournament Director) and Ediga Agbo of Nigeria (Umpires Manager) with officials drawn from the three participating nations and Kenya.